Google Smart Lock vs LastPass comparison has brought a lot of controversy on the net and there's even been a Google Smart Lock vs LastPass Reddit thread in their honor. This is because these two are some of the best free Password Manager apps for Android, iOS, and Windows in 2018. A high level of security is of the essence because accounts on websites on the net can easily be hacked. Using the same Email and Password across multiple sites makes your account very easy to hack because once you enter that same login details on a phishing web page, you might as well prepare to lose other accounts as well. Accounts on Social Media and Cryptocurrency exchange markets will gain unauthorized access, and these accounts may be used to perpetrate other crimes. I recently experienced this, where a hacker got hold of my general login info and used it to log into my LendConnect, GoldReward, Bit-Z, and Cryptopia accounts. While some of these login attempts were successful, it wasn't on others because of the difference in IP address. What if I'd used different passwords across each of these sites, would it be have been safer? It might, but not exactly. And here's where these two reputable free Password Managers come into play. 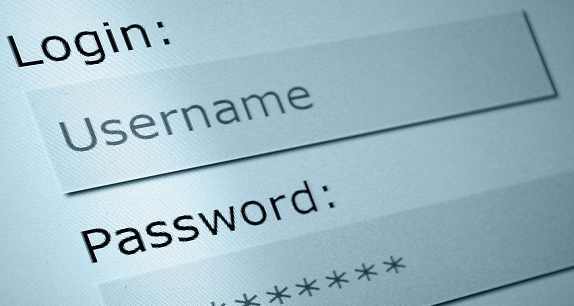 A Password Manager stores the usernames and passwords on all websites you register on. It helps you maintain a unique password across sites while at the same time ensuring that they're easily accessible when you need them. These managers may provide a Freemium service where you can use most of their basic features for free but pay to upgrade to get more features that may be just as helpful. Before one can outrightly say Google Smart Lock is better than LastPass or vice versa, a comparison of both must be made. What is Google's Smart Lock for Passwords? Is it similar to LastPass? Google Smart lock is a security feature implemented by Google to secure your Android phone, Chromebook, and user accounts on apps and websites. While a Smart Lock on Android Phones and Tablets ensures that unauthorized users do not gain access to files stored on your Phone/Tablet, a Smart Lock on Chromebook puts a lock on your Laptop thereby restricting unauthorized access. A Smart Lock for passwords stores all usernames, emails, and passwords for individual accounts you've created on websites. This login information is connected to your Google account, stored on cloud storage, and can be used to automatically login to sites once you're browsing from the Google Chrome browser. Quoting a user on Reddit, 'is google smart lock safe'? Like Google's Two Factor Authentication, Yes, it is. Your login information can neither be lost or hacked into because it makes use of a secured cloud storage to store your data. There is also a tracking of devices used by you to login in order to ascertain unauthorized logins by a strange device. This tool is best for users of the Android Operating System where most apps require a password to sign in, and where they can unlock their device using the Android Wear watch. Allow you unlock your Chromebook using your Android phone. Allow you unlock your Android phone using the Android wear watch. Set your Android device to automatically unlock. Synchronize your passwords across all your devices. LastPass Freemuim Password Manager is an extension that can be added to web browsers such as Google Chrome, Mozilla Firefox, Opera mini, Maxthon, Internet Explorer Anywhere, and Safari. It uses an AES-256 bit encryption to store your passwords on its cloud storage where it is inaccessible to hackers. To use LastPass, you need to download LastPass Extension for Chrome (Chrome 18+), Internet Explorer 11, or Firefox (Firefox 2.0+). On installation, you will be required to set a master password that will secure the application and then, each time a registration is done online, the account details are saved. With the username and password saved, users can easily login into their accounts instead of manually typing their information. There is a LastPass password generator that automatically generates a strong password that is difficult to crack. Other than storing passwords on LastPass, you can also store sensitive data such as Insurance Information, your billing address, credit card info, social security number, amongst others. There is also a dedicated LastPass Sesame application for accessing your vault from a different PC using Two Factor Authentication (2FA) as well as a fingerprint authentication for the mobile app. Import passwords to a new device. Alert you of duplicate passwords used across multiple sites. Back up your passwords into your computer. Allow adding Notes to its cloud storage. So, between Google Smart Lock vs LastPass which is better? Wait for a second and I'll tell you! Even though the features of each is impressive and where one lags behind, the other makes up for it. For instance, these are the limitations of Google Smart Lock. There is no Google Smart Lock password generator but there is a LastPass password generator that can give you a random and unique password. Although some users may not find this feature entirely helpful as they can always come up with complicated passwords of their own, this is still a feature that ensures all passwords you use are very strong irrespective of the site. It could be a social network or your money site, but a not-so-easy to decrypt password. With LastPass Password Manager on PC and Android, you can save passwords from different web browsers in its cloud storage. Google Smart Lock for Password can only save passwords when you use the Chrome browser and some applications. Usernames, passwords, and emails inputted in forms on Firefox, Opera Mini, Internet Explorer, etc will have to be saved on the web browsers inbuilt storage system alongside cookies. This is not a very secure way to store passwords as it can easily be hacked. One must be better than the other, and for me, it is Google Smart Lock. Whether you're a user of the Android, iOS, or Windows Operating System, Google can still track your activity. You work with the Android OS, download Apps from Google Play Store, use Google Maps for Navigation, Click on Google AdSense ads on web pages, use Google Chrome browser with cookies, use Google search engine, and lots more! Whether you are connected to the internet or not, Google keeps track of your browsers and Apps behavior pattern and as such, a slight change in this pattern where you use a device you haven’t used before alerts their security system. Another cool feature of Google Smart Lock is its ability to synchronize passwords to your Google Account which makes it accessible across your devices. With Smart Lock for Passwords, login information for Apps and Websites stored on your Android phone can be retrieved from another Android phone or Tablet. This is made possible when you sign into the Google account that contains the saved passwords; passwords that you can access by visiting passwords.google.com. On LastPass, You may have to pay for this feature as a premium user. The Google smart lock encryption on Android and Chromebook can detect when it's you and when someone else is using your phone. This means that you no longer have to use pins, patterns, and passwords to secure your Android devices, as the smart lock on body feature can automatically lock your device. It uses a Smart lock On-body detection feature to know when your phone has been dropped on a table or when you enter a car, train, and airplane. This is made possible by the Accelerometer data on your walking pattern. Most importantly, you can turn off Google Smart Lock if you choose to. Thanks to Google Smart Lock, you can also use a Bluetooth connection to unlock your Android phone or Chromebook while on the other hand use your phone to your Google account via two Factor Authentication. LastPass is very good as there has been a 1Password vs LastPass and Dashlane vs LastPass comparison to show this Password Manager is a competitor in terms of the level of security. Can I use both LastPass and Google Smart Lock? The same way it is better to use one antivirus than two, it is also better to use one password manager to store all your passwords in one place. While you're striving to get the highest level of security on your online accounts, each of these password managers cannot give you a 100 percent guarantee of safety. In that regards, Choose between the 2 Password Managers because the lesser the number of managers you use to store passwords, the better. The Google Smart Lock vs LastPass comparison outlined above will enable you to choose the best Password Manager in 2018 to manage all your passwords in one place. It takes away the need to manually enter your login info since a Manager automatically fills in web forms and signs you into Apps. Generally, a good password management service ensures that your website is secure as well as websites you register on.